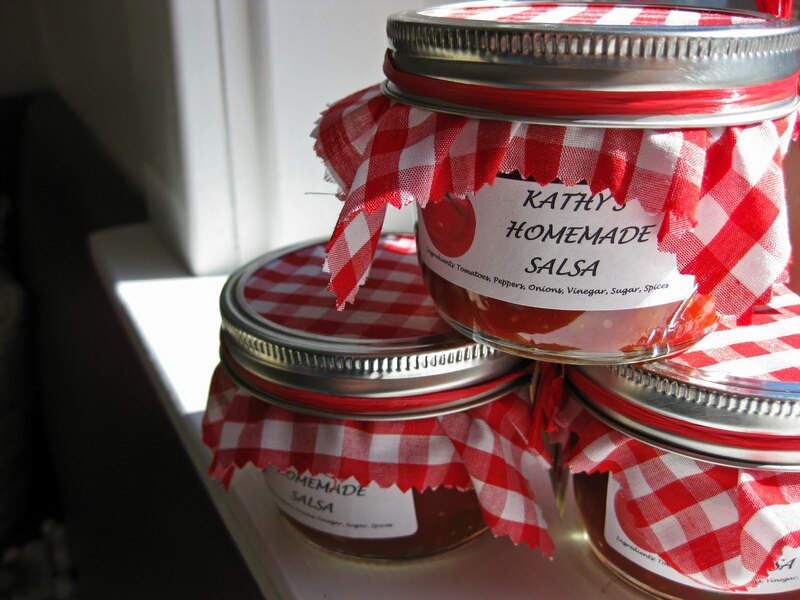 do you make and can your own salsa? i know she does … and so does she, but do you? i certainly don’t, but i really appreciate those that do. first, because its hard work! all the chopping, cooking and canning! yikes! and second because homemade salsa is like a million times better than any store bought salsa. agree? especially kathy’s salsa. words can not describe how much i love this stuff! she painstakingly chops all her ingredients to the perfect petite size (i’m not a fan of super chunky salsa). and she had nailed the sweetness level. it’s beyond perfect. oh my. my favorite way to eat it? 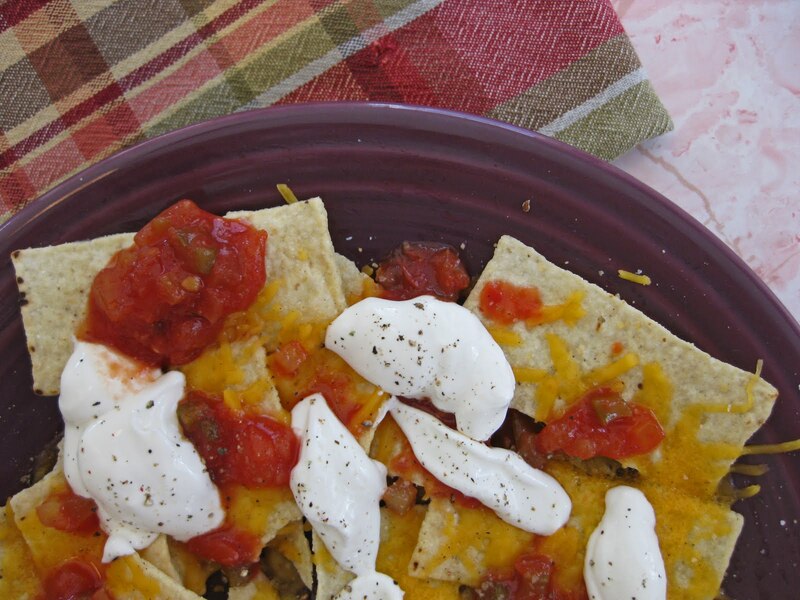 with some local tortilla chips … melted cheddar … sour cream … salt & pepper … and the salsa of course. talk about yum! the only thing that could make this better would be a big ol’ margarita to wash it all down. have a stellar weekend everyone! i know i will. Oh I love, LOVE her salsa!!! It’s so good! Hi. I found your blog from Rachel’s Cottage House. The salsa looks very good. Your jams also look very pretty; I like how you assemble them. Homemade is always best. I need to make more soon. I just opened my last jar from last year! Oh my goodness that looks delicious…I’m going to have to try the chips…cheese…salt and pepper…the works! I need to get off my hiney and make more…we’ve already gone through three pints and we’re not even out of August! I am sure those salsas are great (they look it!). I spent several summers as a salsa-making slave to my daughter’s salsa craving…chopping chopping,etc. She eats it with a spoon, I swear…Then, I found “Restaurant-Style Salsa” at the Pioneer Woman blog and my life changed!! It’s made in the food processor and my very picky salsa lovers agree that it is the best! oh my god i love nachos with all the trimmings!! when me and my hubby were younger (when we lived with our parents and when we had our first little flat)we used to sit on the floor infront of the telly and share a huge portion together. okay….kathy who? and where can i get the recipe? please. My boyfriend and I had the pleasure of staying in your B&B a few months ago and I just adored it! Just went through a bunch of your old posts and you’re such a fun blogger too! Can’t wait til we come back up again for another visit. That salsa looks so yummy! I love what you’ve done with the kitchen and thanks for showing me those yummy looking cupcakes. I might have to try that one. Enjoy your week….